Travel photo at 1G Cantonment Road, Tanjong Pagar, Singapore. 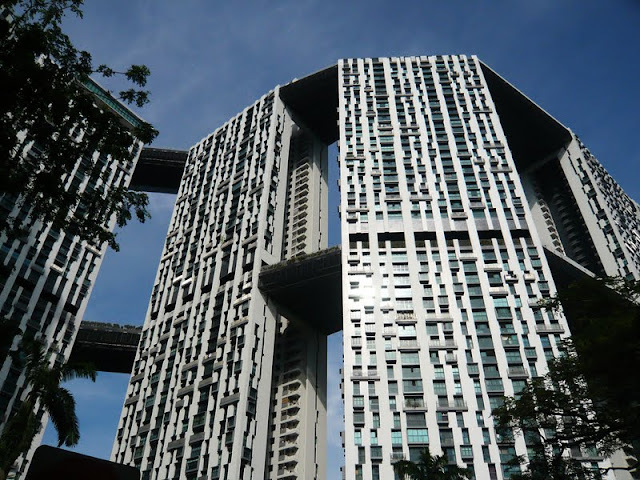 The Pinnacle@Duxton being one of the public housings in Singapore has became a landmark of the region due to its height of 50 storey tall and unique sky-bridges that linked 7 blocks together. It has been attractive due to its distinctive form and play of facade. An attempt of bringing public social life and recreational fabric up in the sky has been made by having sky-bridges with garden and running track. However, the facilities is only opened mainly for the private but not public without fees.